A Stunning Silver Beauty has embraced Rogue Suri Alpacas! This little Girl is everything a Grey Breeder could ask for. She is Highly Lusterous, Wonderfully Locked already and Has the Pedigree that Screams Silver Grey Anyone! She has one of the best Pedigree's in Grey Lineage in the United States Right NOW! On her Dad's Side she is a 5th Generation Silver Grey! On her Mom's Side she is 4th Generation Grey! What a record. You are basically guarenteed to have a Grey Producer Here! Wow, with relatives like that, no wonder she came out amazing!!! Masquerade delivered a beautiful all jet black female! 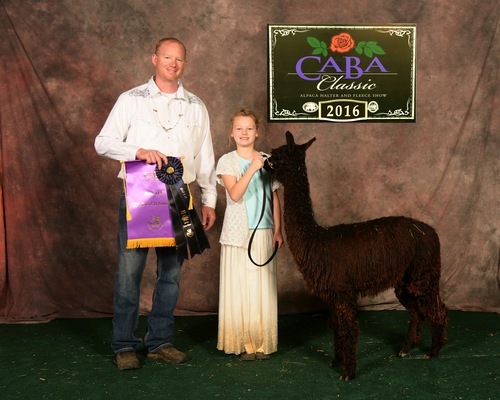 This little girl named RGSA Julia's Minnie was the 2016 Black Color Champion at CABA! Masquerade gave birth to a beautiful chocolate boy out of Libertad's Notorious! Amazing boy, can't wait to watch him grow! Because Masquerade is one of our BEST mommies, she has been selected as a recip this year for our ET program. Masquerade is currently pregnant with a ShowTime X Sniper Embryo! Julia's Minnie is the product of Julia's breeding decisions and boy did she do a great job! 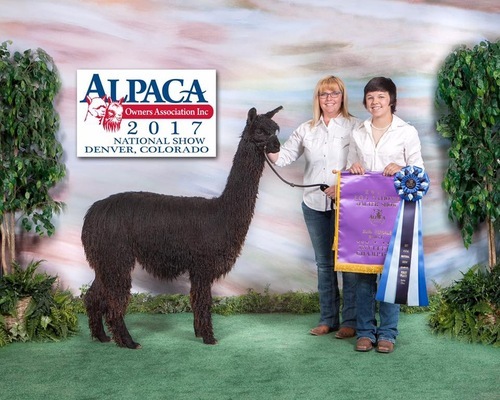 Minnie's dam is Julia's own alpaca Masquerade, a beautiful silver grey daughter of Silvano of PVA! Silvano is a multi time champion including Futurity. Minnie's dad is GLR Nico, who need no introduction! 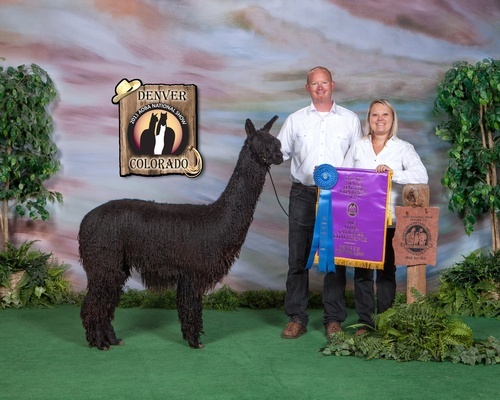 A true black 13 time Champion this boy is making amazing crias in all colors and Minnie is no exception! 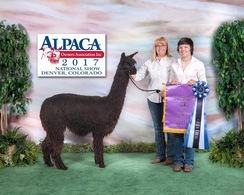 Minnie sells with a maiden breeding to any Rogue Suri Alpacas Herdsire! We HIGHLY suggest Sierra Bonita's Peruvian Sniper!!! 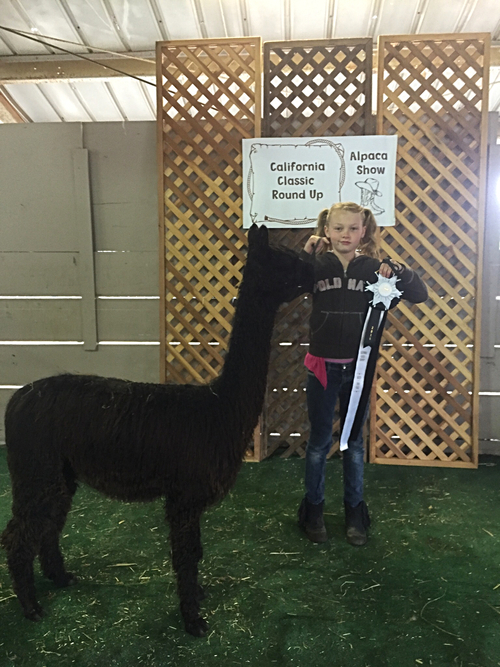 Congratulations Jennifer Hack of Trip H farms on your purchase of Julia's Minnie!